Neighbors are reacting after a Lane County Sheriff’s deputy shot and killed a 49-year-old Veneta man Thursday [October 28, 2010]. According to the sheriff’s office, deputies responded to a domestic dispute between Mark Thomas Casterline and his sister at her apartment at 25182 E. Broadway. A sheriff’s office representative said when deputies arrived around 4 p.m. Casterline had a knife. Deputies made contact with him inside his sister’s apartment and ordered him to drop the knife, but Casterline refused. That’s when they say a deputy fired a beanbag round into the apartment at Casterline. That beanbag round was followed by another shot: this one from a deputy who fired a fatal gunshot. Casterline’s sister was not harmed in the incident, but neighbors said she was visibly shaken. Authorities did not say what Casterline did to provoke deputies. Casterline was staying with his sister temporarily. Neighbors said they have seen him around the apartment complex recently. Many neighbors said Casterline had mental disabilities. 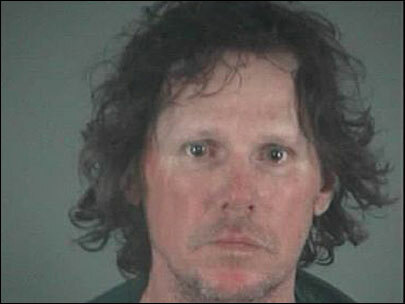 A spokesperson at the Lane County Sheriff’s Office refused to comment when asked if the man was mentally handicapped. Several neighbors said they think the shooting was unnecessary and that Casterline could have been subdued with less-lethal forces. The deputy who fatally shot Casterline is on administrative leave. This is routine with officer-involved cases. The shooting is under investigation by the Interagency Deadly Force Investigation Team, which consists of investigators from Oregon State Police, Eugene Police Department, Springfield Police Department and the Lane County Sheriff’s Office. A ruling on whether the use of force was justified is expected from the district attorney next week.